Delicate pink iridescent freshwater stick pearls give a light reactive effect to these unique earrings. 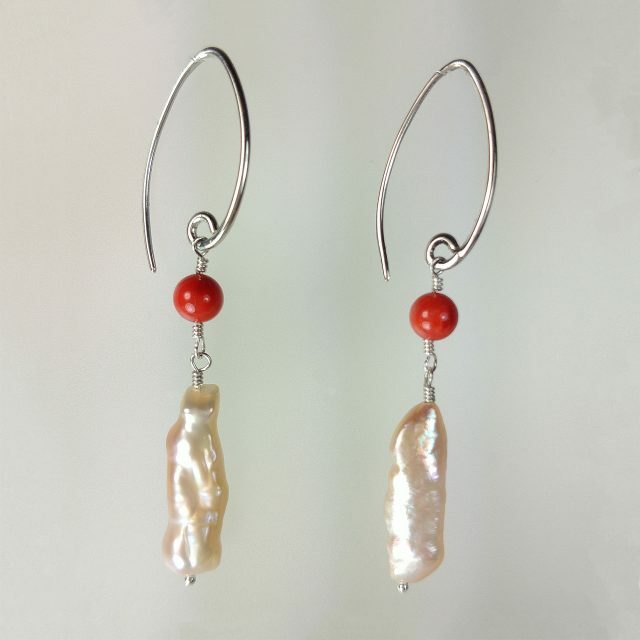 Coral beads dyed in a fiery red draw your attention to this design, which is completed with simple argentium silver wire work and an elegant sterling silver earwire. Each earring is 2.25 inches inches long.